In the event both parties agree on custody, support and property division issues, the judge can enter a final divorce decree pursuant to that agreement. This decree entered by the judge will be “with prejudice." Settlement agreements in many divorce cases are facilitated by a mediator or a settlement conference held by the judge, where matters regarding child custody, support and property division are agreed upon. If the parties do not agree on custody, child and spousal support and property division, the judge may hold a hearing or trial on those issues. 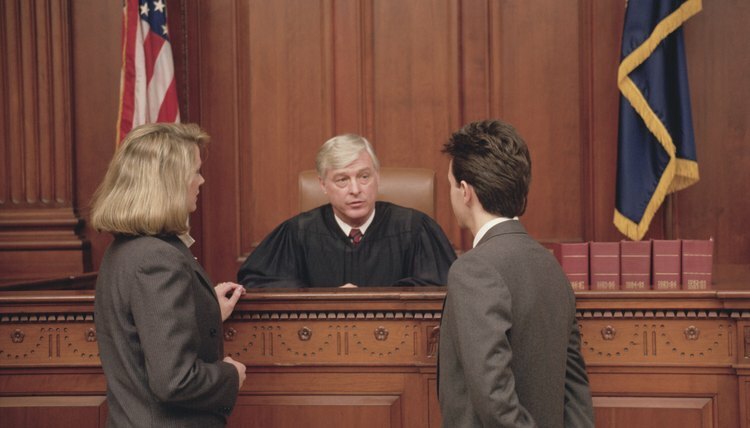 The judge may serve as the “finder of fact," which means the judge is acting as the jury, or a jury may hear the case. The verdict reached will be entered by the court “with prejudice,” again meaning that the case is closed and cannot be re-litigated. All states have no-fault divorce laws today, which means that assignment of fault does not play a role in whether or not a divorce is granted. The only element that must be proven in a no-fault divorce is that circumstances exist which dissolve the purpose of the marriage. Because fault does not have to be proven, a with-prejudice dismissal has more effect regarding custody, spousal and child support, and other financial issues than the divorce itself. A without-prejudice divorce dismissal may also be granted. Unlike a with-prejudice dismissal, the parties are not barred from starting the divorce case all over again. The filing party getting cold feet or not serving the summons on their spouse on time are instances where a dismissal without prejudice may be granted. The dismissal order signed by the judge specifies whether a dismissal is with or without prejudice. What Does Contesting an Annulment Mean? Lemondrop: 50th State Passes No-Fault Divorce Bill -- But Is It Good for Women? Illinois Legal Aid: What's the Difference Between Dismissed With Prejudice and Without Prejudice? What Is a Status Conference in a Divorce?